Most of us already know that the resume we submit while applying for a job interview is really crucial for a number of reasons. First of all, when the recruiters go through your resume, they get a first impression of your profile. As a matter of fact, on an average, most of the recruiters do not look for more than 6 seconds at a resume. So, all you have got is a window of opportunity of just 5 to 6 seconds. In those few seconds, if the resume submitted by you fails to impress the recruiters, you will not get many interview calls. This is the reason why you should seek the help of professional resume builders, and Shri Resume is surely one of them. We are one of the most reliable and professional resume builders in the web world, and we leave no stone unturned when it comes to making your resume a professional and effective one. Why avail our resume building services? We at Shri Resume have gained tremendous amount of experience in understanding ‘what the recruiters look for?’ Unless and until we get into their mindset, it can be quite difficult to crack the code of success. We have experts who provide valuable inputs according to the ongoing industry requirements. As a result, it becomes easier for us to incorporate the right elements into your resume, which in turn can surely improve the possibility of your resume getting selected. If you are still not convinced, let us jot down some of the benefits of our resume building services. You might think that there are already dozens of free resume building services available in the web world. But, if you check them out, you will find that only few of them provide free services minus the hiccups like watermarks, advertisements, etc. Our resume builder will not bother you with any sort of annoying watermarks. 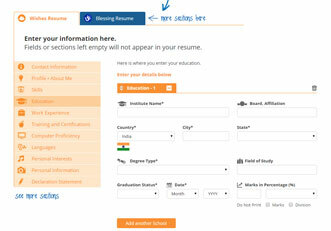 Plus, we also stay away from placing ads on our resume builder interface. So, the services we offer to our customers are not just free, but clean too! We do not play any tricks. The range of tools we provide for resume formatting will definitely make it easier for you to customize the attributes as per your desire and requirements. With our easy-to-use tools, you can come up with professionally formatted resumes in just few minutes! Since our services are for free, therefore you can take as much as time, in order to polish your resume; until you feel satisfied and confident about the same. So, just take a look at our free resume building tools and step towards a better future right now! Having multiple resume versions in today’s time is absolutely essential. It allows you to focus on different categories of jobs by highlighting your suitable skills, qualifications, and experiences as per the type of the job you are applying for. At Shri Resume, we offer a wide range of resume versions, and you can choose one according to the niche of the job sector. Without any doubt, having a well-tailored resume in today’s highly competitive world will surely provide you the much needed competitive-edge. However, we also recommend that you must maintain your master or main resume from time to time. We at Shri Resume support three types of file formats for your resume, so that you can fulfil the requirements of your potential employer at the time of uploading your resume. 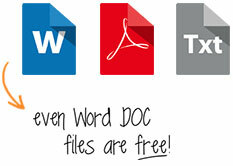 We support Doc files, PDF files, and Text files too. All the three formats are available for free! Yes, we allow our users to download their resume anytime. 24x7 accessibility to your resume is quite helpful when you have an urgent job position to apply for. Likewise, you can also make changes anytime. You are allowed to make changes as many as times you want. This is one of the beauties of our free resume building services. 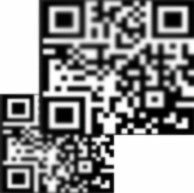 In today’s digital world, having a QR code is definitely helpful for a number of reasons. When your resume is equipped with a QR code, it turns out to be easier for your potential employer to get in touch with you. Plus, it also creates an impression that you are definitely a tech-savvy person; and, this is something most of the recruiters look for in a job aspirant. With our clean and smart dashboard interface, you can easily manage your multiple resumes. You can open just any version and make any kind of changes you want. We have ensured that the dashboard does not look confusing to our new users. After all, providing you a smooth and time-saving resume building service is also one of our priorities. So, those were some of the reasons that make our resume building services so effective and beneficial for our users/members. In addition to them, there are many more attributes of our services that can provide more assistance during the process of resume building. Spending a little time with our online resume builder services will absolutely impress you to the core. We offer a wide range of services related to our resume writing services, such as Shri’s Wishes, Shri’s Blessing, Shri’s Grammar Sutra, and Shri’s Hard Work. These services are aimed at providing your career the right direction and the much needed momentum for a smooth inception. If you have any kind of question in your mind, please feel free to ask us at [email protected]. One of the best resume service provider in India, having many template designs for easy creation of resume for fresher as well as experience people. One of the best and most reliable resume writing service available in India. I took there service and the resume turned out to be really effective.